Pilgrimage takes us outside our expected patterns and into something immediately more challenging and dynamic. It’s on pilgrimage that our souls begin a journey that takes us up mountain passes and brings us down transformed. This pilgrimage of Unnoticed Neighbors seeks to do the same so we can taste and see what’s around us and meet the different people with whom we share this world—a world that is both beautiful and ugly. You’ll meet women from northern Uganda who are AIDS and civil war survivors and Burmese refugees living down the street in U.S. neighborhoods. You’ll uncover why the poor remain poor, despite aid and charity. You’ll see the saving grace of education and the real protection it gives to some from the most brutal injustices. You’ll go behind and into the human trafficking underworld and perhaps you’ll see your neighbor–from across the street or across the world–for the first time. The title of Unnoticed Neighbors caught my attention before I even had the book in my hands. I am drawn to books that aim to expose their audience to the often ignored topic of social justice. But more than just a call to social justice Unnoticed Neighbors is a call to action. Ludwig takes the reader on a journey through many places and situations we would probably not dare to enter on our own. From diamonds to guns… from human trafficking to the environment… the author presents one vignette after another that taken together truly do become a pilgrimage. However, the journey is difficult. It hits you like a ton of bricks. There is little time to take a break and catch your breath. At times, I found myself wanting to put the book down, but then I would remember the victims portrayed in the book don’t so easily get a break. Given the wealth of biblical material on the subject, I had hoped for a more thorough theological treatment of the topic at hand. I sometimes felt like the biblical themes were only given a cursory presentation. Overall, I think the book accomplishes what it sets out to do. The reader is exposed to many current social justice issues. 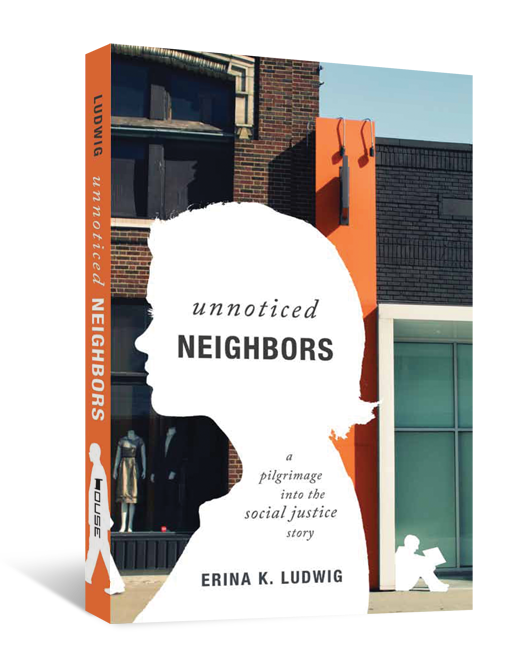 With each chapter Ludwig provides possible action steps to move beyond simply pitying the injustices we find in the world. Instead, she challenges us to engage in compassionate ministry that can make a difference.